Kids ski free or fly free, really? Yes, really. As our economy creeps away from sluggish mode many destinations and resorts are offering extra travel benefits including deals for families. I have my snowy favorites which offer real family vacation benefits – some are time sensitive, some not so much. Plan early, be flexible, and savings can be matched with fun. 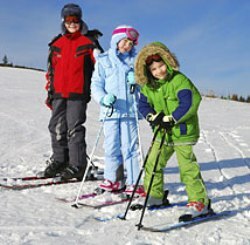 Checkout more family ski deals and winter family vacation ideas in Snowplaces at the Files.